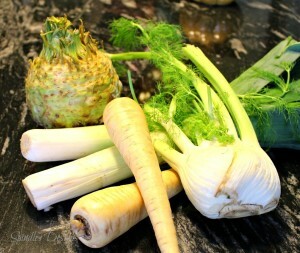 Do you know the names of these vegetables? very different and very tasty. but oh is it worth it. Place potatoes and celery root in large pot and almost cover with cold water. Bring to a boil and simmer until a knife pierces the vegetables easily. Drain the potatoes and celery root, mash with butter and sour cream. Add reserved potato water as needed, for smooth and creamy mashed potatoes. Set aside. 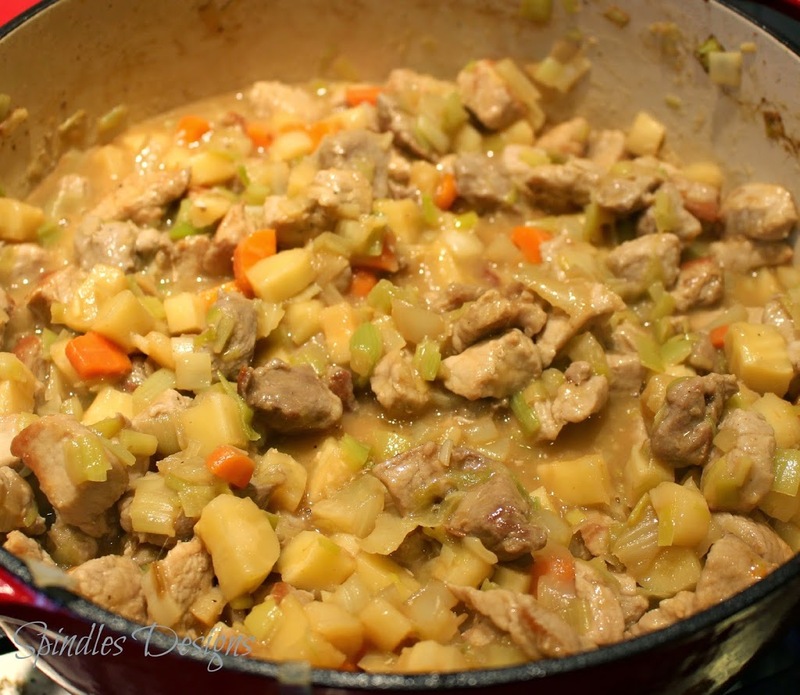 In a large Dutch oven, heat the olive oil and brown the pork chunks. Add leeks, parsnips, fennel and carrots to Dutch oven. Saute until the leeks are tender. Sprinkle with flour; and cook and stir for two minutes. Pour in broth and bring to a boil stirring. Simmer 2 minutes. 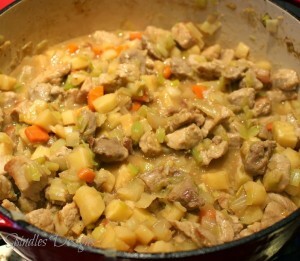 Pour meat mixture into a tall 3 quart casserole and spread the mashed potatoes on top. Sprinkle with grated cheese. Bake at 375 degrees for 30 minutes or until hot, bubbly and browned slightly. Makes 8-12 really big servings. This is definitely a meal in a bowl. 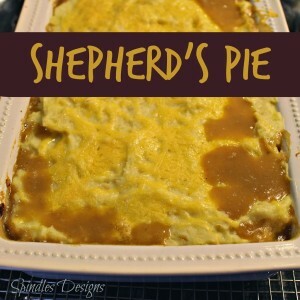 I have never made shepherds pie, and this sounds wonderful. Pinning. I hope you enjoy it. My husband and I love it. Hope to see you again soon. Stopping by from #FoodieFridays! Your shepherd’s pie looks yummy. I love the fact that you used parsnips, leeks, and fennel -that sounds so good!! Pinned. it’s a real different combination but very tasty and hardy. Thank you for your comment. Come see us again.